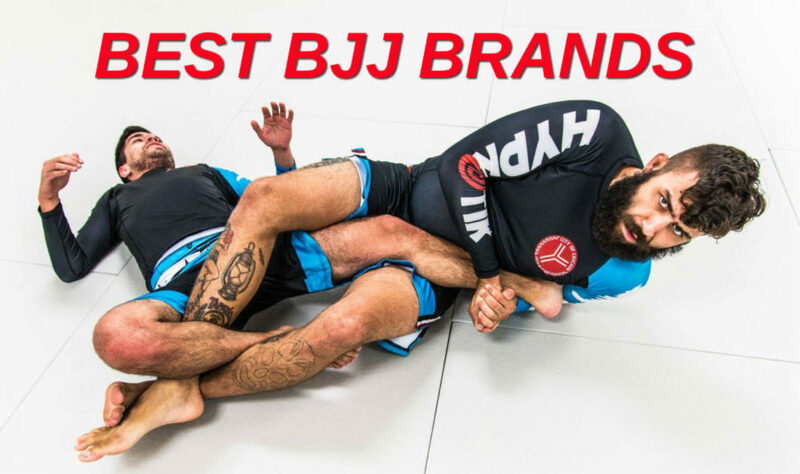 Today we’re taking a look at the Best BJJ Brands on the market. In this scenario, “best” means a combination of popularity and sales. These are being posted in no particular order. Click any picture or link below for more information and to order products! Tatami Fightwear is one of the original BJJ brands, offering everything from shirts to shorts and rashguards, spats and BJJ Gis. The Tatami Estilo is one of the best-selling gis of all-time. When you buy a Tatami product, you know you are getting quality through and through. Hypnotik debuted in 2014 and quickly became one of the most popular BJJ brands due to their clever designs on rashguards and gis, as well as a line of slick t-shirts and fight shorts. The Hypnotik Stereostar, Hypnotik Notorious, and Hypnotik 8-Bit Jiu Jitsu Rashguards became enormously popular with grapplers. If you also fight MMA, they have a full line of gear available, worn by such UFC fighters as Johny Hendricks, Mickey Gall and Julianna Pena. The Gracie family is responsible for bringing Jiu Jitsu to this country, so it should go without saying that their gear and apparel is top notch. Gracie Jiu Jitsu makes gis, rashguards, shorts, hats, shirts and more. One of their top products is the Gracie Jiu Jitsu Combatives DVD set, which allows people to learn BJJ in the comfort of their own home. Scramble puts together high-quality gear and apparel with some serious style, as well as a nod to pop culture. The Scramble Godfather Gi simply amazing. What’s more killer than hitting the mats in a Godfather Gi? The Scramble Ranked Rashguards are always a best seller, and they even have Kids BJJ Spats. Newaza Apparel makes some of the most ingenious BJJ rashguards, shirts, hats, spats, and more. One of the most popular items over the last few years is their amazing Ninja Turtles Rashguard. Their colorful In Jiu Jitsu We Trust Rashguard and the trippy Geoprism Rashguard are also big hits. Newaza is great at playing off pop culture, with the Newaza Smells Like Newaza shirt being just one example. It plays off the seminal Smells Like Teen Spirit album from Nirvana. Those are just a few of the Best BJJ Brands in the market. We are living in the golden age of BJJ rashguards, shirts, spats and gis, with creative, clever, and colorful designs being released all the time. Click on any link or logo above for more information, or to order now!